As method a value chain model is used. This is the best way to give a big picture over the processes in general. 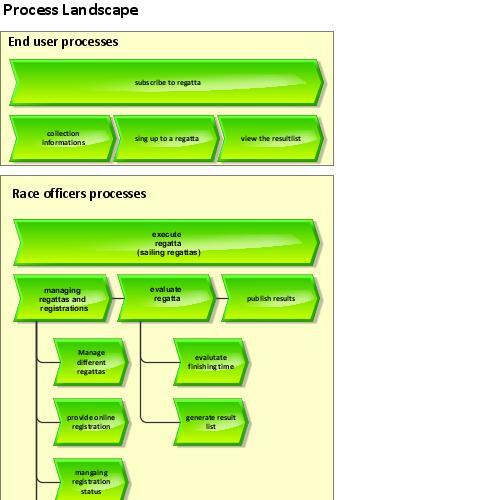 The processes are split into different 3-layers in the value chain model. The positioning of the objects is decribing the hierarchy. thank you for your participation, it´s great that you shared your hobby with us. Is it your favorite spare time activity? In my view, you could extend your process landscape with regard to describe the various distances or maybe the different age groups. What do you think about that? I think, it would be interesting to know more about a regatta. I wish you good luck in the competition.